Jennifer Renson graduated from Monmouth University with her Bachelor’s Degree in Public Relations/Journalism and a minor in History. While attending she was Editor-in-Chief of the Monmouth Review Literary Magazine. After graduation, she began writing for Lost Treasure Magazine, covering a variety of topics, including Captain Kidd, The Library of Alexandria, Richard III, The Sword of Cesare Borgia, The Scorpion King, and The Arthur Stone. Jennifer acquired a Masters Degree in Counselor Education, with a New Jersey State Certificate for School Counselor. Her passion for writing continued as her poetry was published into three books: Delightfully Dark: A Collection of Poems and Tales, Eo: Go, walk, ride, sail, pass, travel and Uncharted. Her poetry varies from storytelling to strong Walking Dead themes (self-proclaimed Walking Dead poet) taking readers into the hearts and minds of unique and relatable characters. While attending San Diego Comic Con 2017 she and a group of The Walking Dead fans were filmed discussing the characters and events that happened on the hit AMC show in preparation for the 100th Episode. 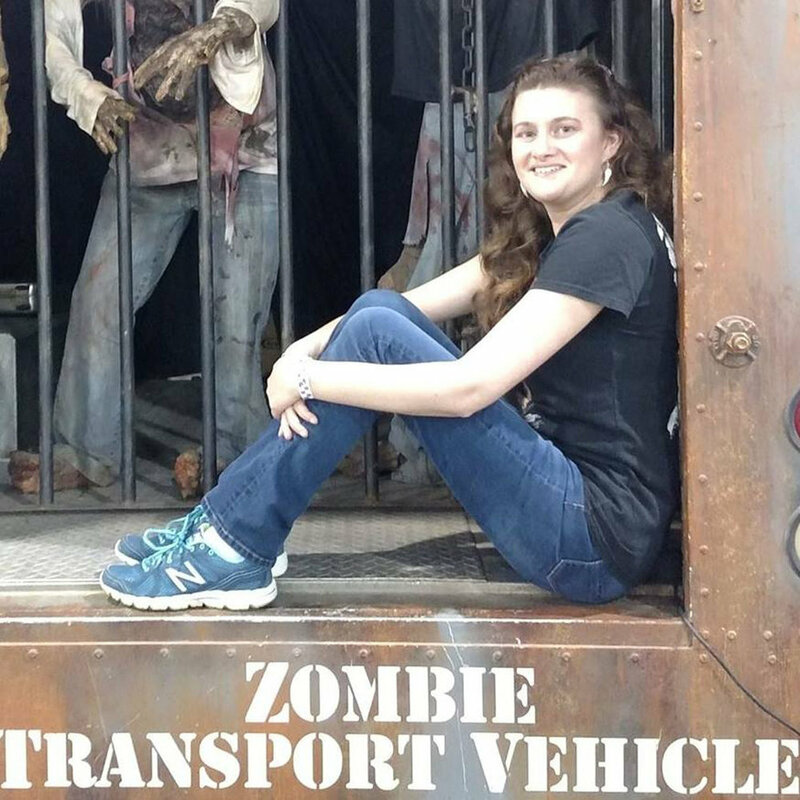 Jennifer has attended several Wizard World and Walker Stalker Conventions, and related events while meeting readers and other writers at book signings. Recently she has become a contributor on FanSided's Dork Side of the Force where she writes about the films, characters and merchandise. 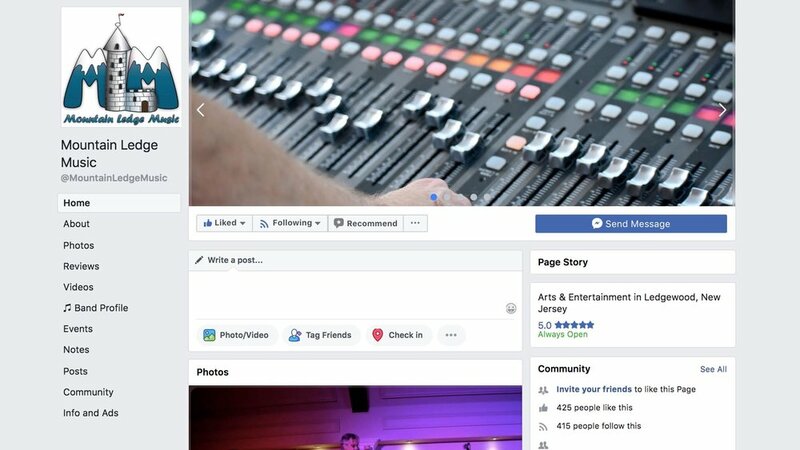 Stay up to date by checking out the social media links. Hoping to turn her passion into a career, she continues to write poetry and stories hoping to inspire. "There is no apology for passion." New Jersey has experienced a plethora of Rock ‘n Roll bands that have become internationally recognized over the years. Morningside Lane embodies the melodies and influence of a wide range of these particular eras. 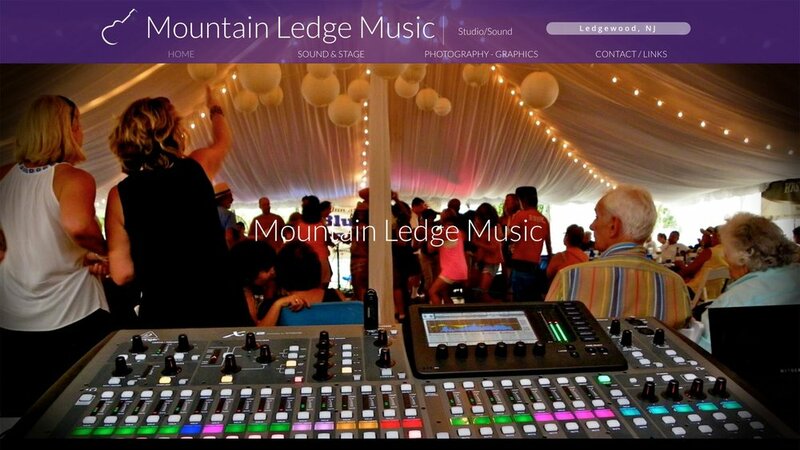 Formed in 2009, Morningside Lane is an Alternative/Rock band from Northern New Jersey that has achieved domestic & international success and has consistently toured domestically and internationally throughout their career. Morningside Lane has released four EP’s to date. Their most recent, “Recovery Signs,” was released under Super Sick Records (UK) in 2015 and was recorded in Western England. Morningside Lane has worked with Grammy-winning Engineer Ted Young (Poets & Back to the Radio) and The Bouncing Souls’ Pete Steinkopf (A Fifth of Elvis, Mellow Drama), and has had the opportunity to directly and indirectly support artists such as Blink 182, My Chemical Romance, System of a Down, The Deftones, Sublime with Rome, Rush, The Story So Far, Turnover, Basement, The Flatliners, Big D & The Kids Table, Social Distortion and many more notable acts. Morningside Lane is currently working on new material for their first LP. The creative arts have always been a draw for me. Born in NYC, raised near the beach on Long Island, and lived and worked in NYC in the Fashion Industry for many years, I experienced art all around me. My husband and I moved to NJ and raised our family here. I started my pet sitting business in 2008. I spend a lot of time outdoors every day observing the beauty, rhythm, and harmony of nature. For me, art gets to the truth, the essence of experience, when we find a work we connect with. It is my hope that others will join me on this journey. I would encourage anyone who has the urge to express themselves to find their creative avenue, whether in the visual arts, writing, music, dance, or whatever imparts your truth. Free is a singer-songwriter from New Jersey that releases his recordings under the alias 4:44. Free writes, records and plays all of the instruments on most of his albums but also collaborates with his live band on some recordings. Free met Zach Gormley (drums) and Greg Mele Jr. (bass) while attending college in 2015. In 2017, 4:44 gained worldwide attention after releasing an EP titled JAY-Z as a joke because the hip hop artist JAY-Z released an album called 4:44. 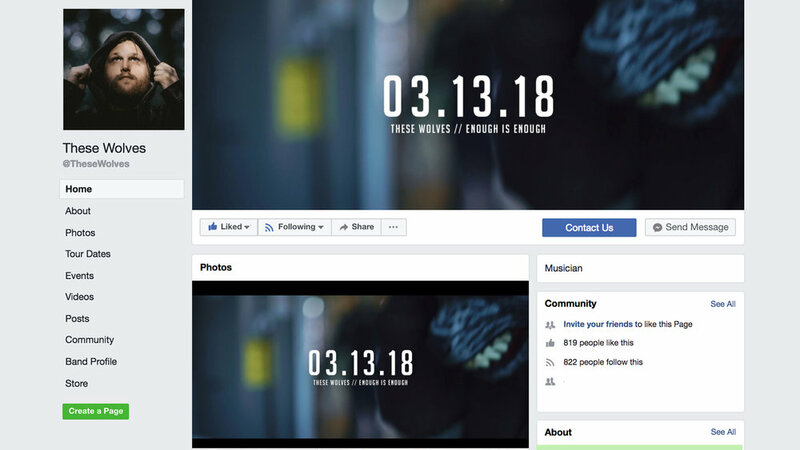 They ended up getting on the front page of Reddit with their self-proclaimed “shameless marketing technique” and getting into large publications such as Pigeons and Planes, The Daily Dot, HotNewHipHop, DJ Vlad (Vladtv.com), PROG Magazine, as well as hundreds of others. This move got the band over 40,000 streams on Bandcamp alone and hundreds of thousands of shares on Facebook/Twitter. 4:44 has no definitive genre and isn’t afraid to experiment. Every unique release has seen 4:44 seamlessly shifting through different sounds to craft textures and atmospheres that appropriately portray the subject matter of their albums. 4:44 does their best to navigate tragedy, relationships, love, depression, spirituality, vanity, life and death while searching for hope. :44 is heavily influenced by the music of Tears For Fears, Genesis, Kendrick Lamar, U2, Bob Dylan, Bruce Springsteen, The Cure, The Killers, David Bowie, Sade and (Sandy) Alex G.
Photos two, three, and four courtesy of Smithley Ville. Brendan Thomas Meyer is an American singer-songwriter, recording artist, record producer and multi-instrumentalist from New Jersey. Brendan is a lifelong, self-taught musician from a small town who went on to graduate from the Berklee College of Music - Boston, MA in the spring of 2018. As a child, Brendan began singing in elementary school and was soon after encouraged by his parents to start playing guitar, piano, drums and harmonica over the years. By the time he was a teenager he was writing, recording and crafting his own songs from his computer. "I grew up listening to the music of storytellers and groove makers," the now 23 year-old says of his musical upbringing. "Music is fun and exciting. It should be able to move you on some level. It needs to. Sometimes that's just through the story telling of lyrics and sometimes it’s just the instrumentation itself. Emotionally or physically. To me, the best songs have both elements. You've gotta feel the music." Brendan has created his own sound which pays homage to his heroes while remaining distinctly his own, drawing inspiration from the likes of: Bob Dylan, James Taylor, Cat Stevens, Fleetwood Mac, Stevie Wonder, Eric Clapton, Simon & Garfunkel, Bruce Springsteen, Elton John, Frank Ocean, James Brown, The Beatles, Maroon 5, Janis Joplin, Aretha Franklin, The Beach Boys, The Four Seasons, Michael Jackson, Beyonce, Kanye West, Frank Sinatra, Billie Holiday, Daft Punk, Amy Winehouse, John Mayer, Drake, Bruno Mars, Ed Sheeran, Justin Timberlake, Adele and others. Brendan, who lost his dad to a battle with cancer during his senior year of high school, credits much of his musical DNA to his father, who inspired him to take up music in the first place. Shortly after graduating, Brendan left his family and home state of NJ to pursue his musical goals. "Those were some of the darkest years of my life after I lost my dad," says Meyer, "but they were also some of the best." In those years, Meyer spent time reflecting upon and recalibrating his life. "The whole experience changed my life and my art, to say the least. I tried my best to be as positive as I could about the whole situation and I feel like my music is better for it as odd as that may seem. It deepened my perspectives on life and, in turn, my music. I suppose I wouldn't be the person I am if things had gone differently," explains Brendan. Despite his shortcomings, Brendan's positive attitude and perseverance is on full display as he continues releasing music across major streaming platforms following his return home to New Jersey. "I hope to reach and inspire as many people as possible with my music. I want my music to be an escape for my fans while inspiring new listeners to follow their dreams, whatever that may be. I want to help keep the music and music scene of New Jersey alive and well for years to come just like those who came before, did for me. I want to make my family, friends, fans and of course all of my teachers and mentors throughout the years proud. I owe them for all their years of support and for continually investing in me. I've got some projects I'm really proud of that I've yet to share with the world. I'm just getting started." 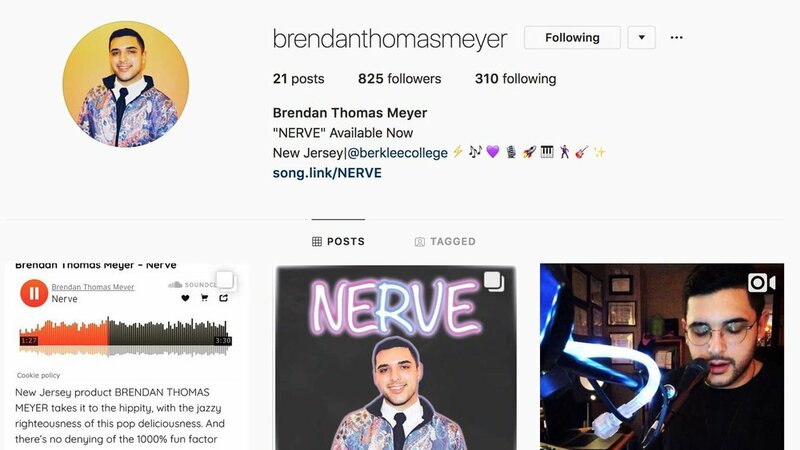 Latest Release (October 19, 2018): Brendan Thomas Meyer - "Nerve"
EVENT SOUND: Solo Acts to Full Bands - systems tailored to fit. 32 Channel Digital Console. STAGE MANAGEMENT: We keep your show running smoothly so you can concentrate on the Big Picture. If you have multiple stages and need someone to manage that second stage, that's our specialty. Want a "Pro" Host? We can arrange for Music Industry/Radio personalities to MC your show! RECORDING: We can record your songs, add instrumentation and produce a fully finished CD. Individual tracking, multi-tracking, remote tracking/insertion of external tracks. Live, remote full multi-track available. Hot new music and artist coming soon! Stream album Destroy and Rebuild NJ 8/18. Vocal and video services coming soon to all! Start marketing your career the proper way. My name is Alterik Finney, stage name "KI Back At It." I'm currently owner and CEO of "Jersey We Lit Records." I've been creating concepts and writing music for over the past 10 years now, some for small indie labels and others for independent artists. I've recently decided to start this label and do things the correct way this time around and will be looking to help artists -- mainly "NJ Artists" -- to help market and create commercial music, even performing management work. I've been working the back scenes learning the paperwork/business, video editing plus filming, online marketing, vocal recording, mixing, mastering and more, and plan on being in full effect by the end of 2018. As Jersey artists, we're known for sounding like others or sounding like street rappers, and it has never gotten us anywhere. My plans, with help from business-minded people, is to be the "Def Jam of New Jersey," opening doors for NJ artists who want to sound different and, like ATL GA, connecting mainstream artists to small indie artists on collaborations. For my own music, I have an album available for streaming on 8-23-18 on all platforms, titled Destroy & Rebuild NJ. I basically want to create a body of work that's original, but commercial, and that has radio-sounding tunes! My Cruel Summer is an Americana rock band from New Jersey. Founding members are Marc Del Giudice (Lead singer, Guitar), Brian Morelli (Drums), and Dave Ricco (Bass Guitar). We formed in August of 2017 and released our self-titled debut album that same month. Produced by Pete Steinkopf, it captures the band in its rawest form. We recently put out a brand new EP, titled Lower Voices, on May 23rd, 2018 (also, produced by Pete Steinkopf). It's been a busy year for us, putting out original content and playing shows to support it. We quickly made our way down to Asbury Park playing at such venues like The Asbury Hotel and The Asbury Park Yacht Club. What's next is a string of shows in the New Brunswick and Asbury area of New Jersey to support our latest release. We hope our music reaches as much people as possible. That should be the only goal for any artist. Especially a new band like us. And that's our advice for any band. Never stop trying to push forward as an artist. Punk Americana. That's what Sean Tobin has dubbed the unnameable genre of music that is his sound. 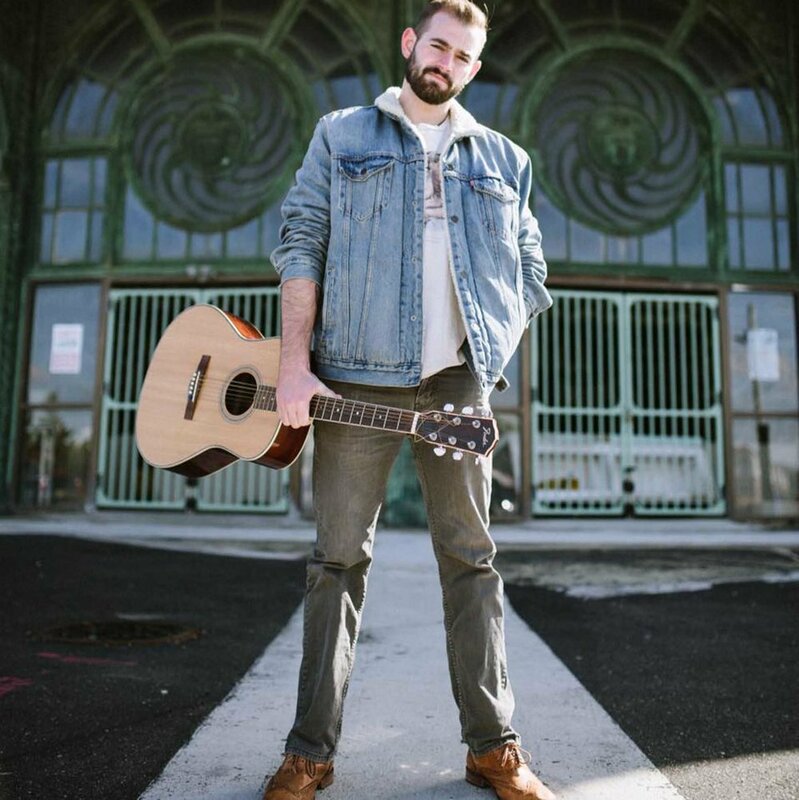 As a solo artist who got his start playing covers in coffee shops, bars and basements around the New York TriState area, Sean's influences range from the Punk Rock sounds of the Stone Pony to the Country Western twang of a Chevrolet pickup and everything in-between. 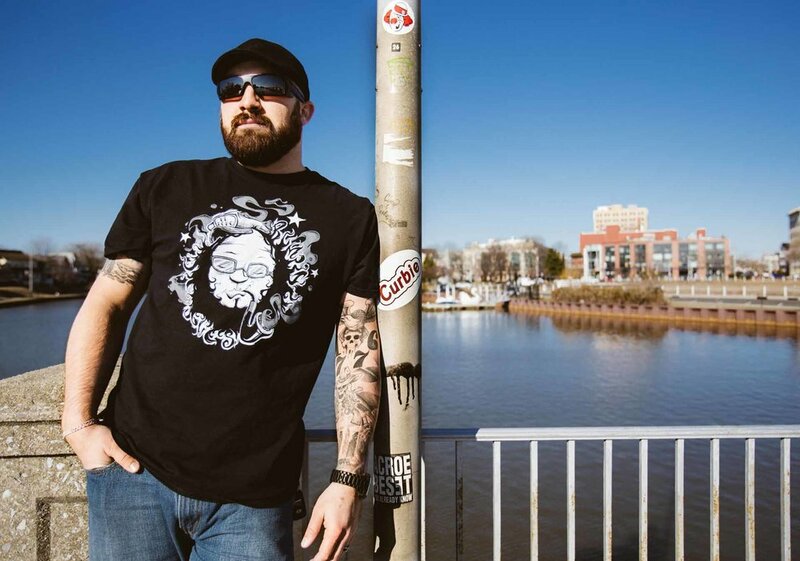 Sean grew up in Brielle, New Jersey, just ten miles south of the music Mecca that is Asbury Park. Entranced by the rock n' roll scene of seaside bars and the innate rhythm of his home state, Sean wanted nothing more than to contribute a new sound to the symphony -- his sound. When he was 20, Sean moved to Ireland for six months where he performed as a busker on the streets of Galway. Two years later, after getting a degree in Creative Writing from Fairfield University, Sean returned to Europe to walk El Camino de Santiago in Spain with nothing but his guitar and a backpack. He performed in every major city along the pilgrimage -- Leon, Burgos, and Santiago de Compostela -- and then continued his tour of Europe in Lisbon, Porto, Lagos, Madrid, Barcelona, Nice, and Rome. Three months later, he returned to his favorite streets in the city of Galway. 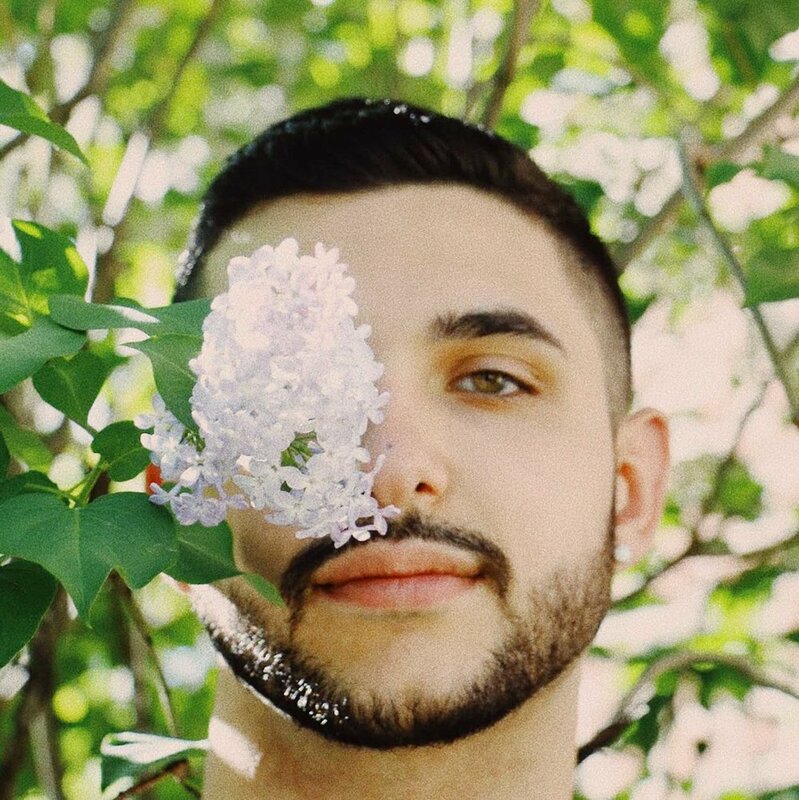 Sean recently released his first single, "Winter," which was written in deep connection to his youth in the hamlets of New Jersey. On Friday, July 13th, 2018, Sean will be releasing his debut album, This Midnight. 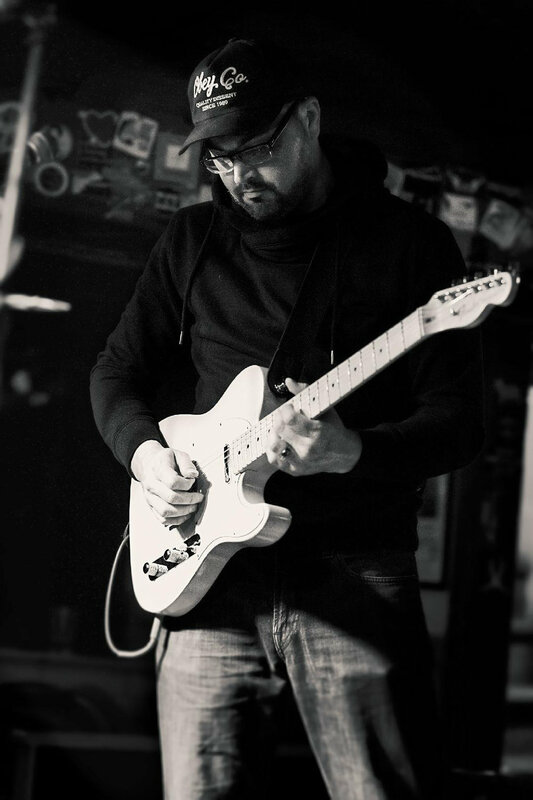 Anthony Caruso is an ambient loop guitarist from the Trenton, New Jersey area. His performances can leave you in a state of wandering, introspection, or intense tranquility. No two live performances are ever the same. Anthony uses a guitar, tiny synthesizer, and a colorful array of effects pedals to manipulate his sound. He pulls from influences from over two decades of intense musical study into cyclical compositions that will leave you thinking about something. If you happen to be nearby during one of his performances, sit down, get comfortable, and enjoy the journey! July 6th, 2018 at 1867 Sanctuary Arts and Culture Center in Ewing, NJ ("Music is Dying" album release show). Special guest Alan Rigoletto. Stronger Tomorrow, Inc. is a 501(c)(3) nonprofit that inspires multicultural women across the lifespan to engage in healthy lifestyle activities and provides education on positive mental and physical health practices to end the health disparities in the community. 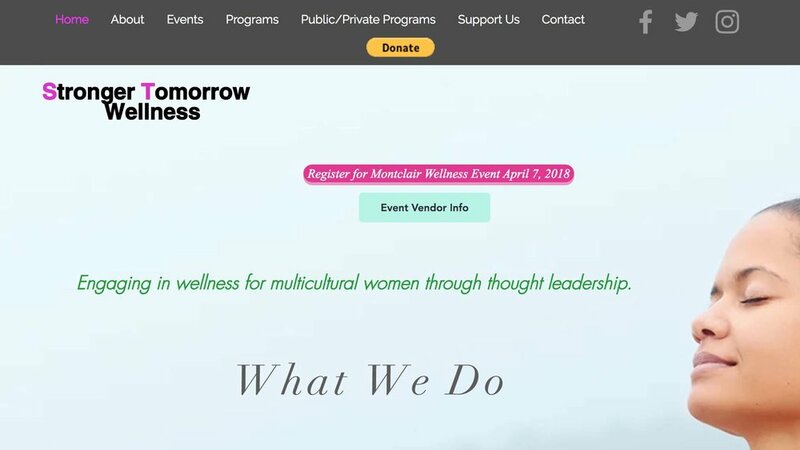 The purpose of Stronger Tomorrow Wellness is to bring together prevailing thought leaders, engaging multicultural women in wellness activities to discuss and shape the direction of the wellness movement that is currently occurring in this segment of the American population and abroad. This forum is designed to bring attention to the activities and organizations that are targeting this population and change the face of what it means to be fit and well. These events impact students and the larger community bringing attention to the activities and organizations that are targeting this population and change the face of what it means to be fit and well. MSU students, as well as students from area colleges and women from local professional organizations, are welcomed to attend. Keynote speaker, guest panel, and fitness activities will be included throughout the day. With emotions that run deep and inspiration that soars high, Marc Ambrosia is the singer/songwriter of our time. At just 23-years-old, Ambrosia already has an EP and a self-produced full-length album to his credit. 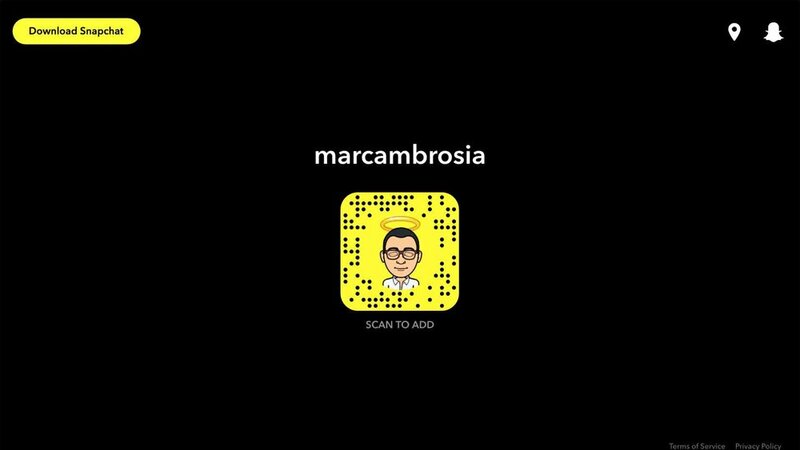 Currently, Marc is actively recording and releasing new music. His latest project is a series of pop singles, which he’ll be releasing one by one over the next year. Able to cut deep with lyrics and captivate with soul, Ambrosia is proving he’s pop music’s best-kept secret. In an industry that focuses on tabloid rather than artistry, Ambrosia is committed to taking the high road. With his latest material, Ambrosia is doing all that and more. While songs like “Let Me Be Your Secret” and “Take Good Care of Me” are filled with angst and longing, songs like “One Step Back” and “Picture of a Girl” are consumed by the need to let go. All of Marc’s songs have one thing in common though: they are drenched in romanticism and are designed to heal the brokenhearted. Yes, for Marc Ambrosia it’s all about heart, and with each new song lies an invitation to take a closer look, and most importantly, find a home in his. Read Jersey Indie's interview with Marc, here. Based out of Madison NJ, Above the Moon is a four-piece that melds indie pop melodies with 90’s rock intensity. The group has pulled from their individual experiences, years of playing in multiple bands in various clubs, bars and basements, to develop a sound that is reminiscent of the greats they grew up on, but still remains new and exciting. 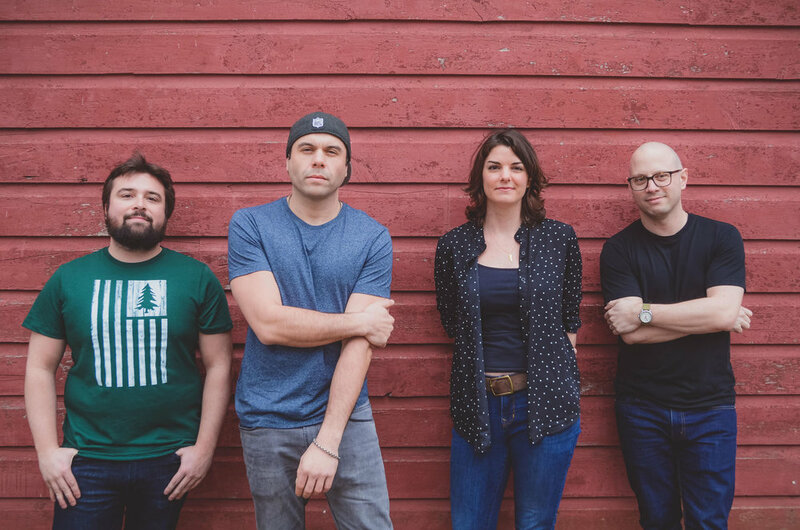 The band is fronted by Kate Griffin on vocals and rhythm guitar, in collaboration with Shawn Murphy on lead, Chris Mangin on bass and John Gramuglia on drums. Together they create a powerful collection of songs that continue to push the boundaries of modern rock music, yet feel familiar at the same time. Above the Moon’s melodies will get stuck in your head all the way to the last feedback note. SpectraSpray Global provides ORAL spray vegetarian vitamins & supplements, guaranteed to absorb FAST. Our supplements are all-natural, with no binders, fillers or artificial ingredients and can be used to support energy, mental clarity, wellness and healthy aging. We strive to provide the highest quality products for better living and daily convenience. Our sprays are naturopathic-doctor-formulated for all ages. For more information, see our Frequently Asked Questions. 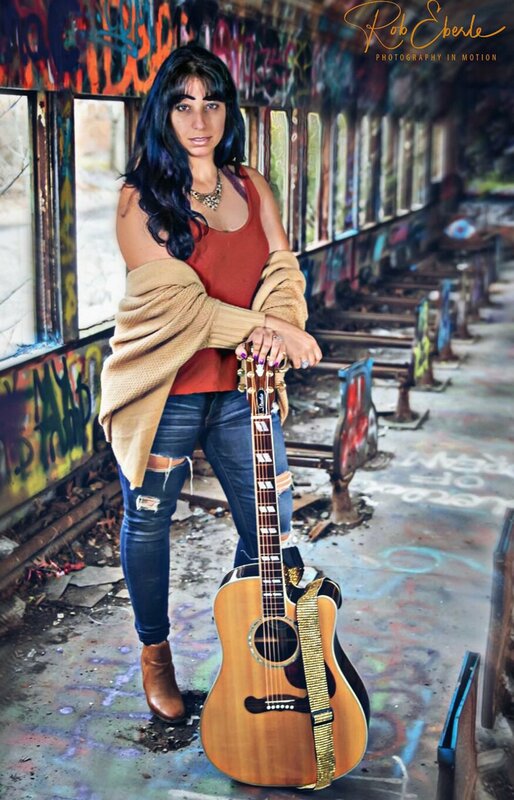 iamCURBIE is a singer songwriter/loop artist hailing from the Jersey Shore. After 5 long years of writing and perfecting his songs, Better Late Than Forever was born and will be released on 3-3-18. A 6-date Mid-Atlantic Tour will follow shortly after in support of this record. 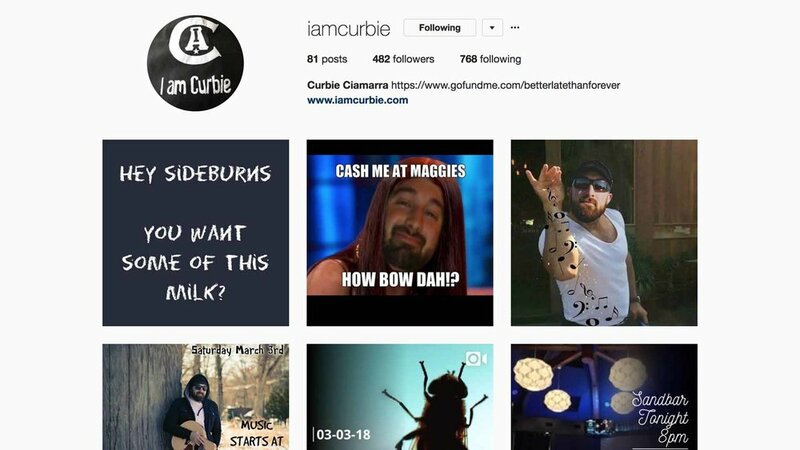 Although you might catch yourself singing and humming along to Curbie's memorable melodies long after they have reached their end, the lyrics behind them are far from fun and games. His unique ability to take a serious, real life situation and flip, flop, mix, mold, and weave happiness into a song will leave you asking for more. While heavily rooted in classic rock, alternative, and reggae; the pop sensibilities really shine through. "I started playing music as a hobby just for myself," says Curbie. "I didn't think I could be more addicted to that feeling. Once I started realizing the impact it had on OTHER people it was game, set, match. This will be something I continue to do throughout my life. It is my life. It is a part of me. Knowing that I can bring smiles, tears, happiness, and evoke genuine feelings through music that I wrote has changed me. Being able to express feelings, I have had a hard time conveying otherwise, has made my personal relationships stronger and I owe that all to music." 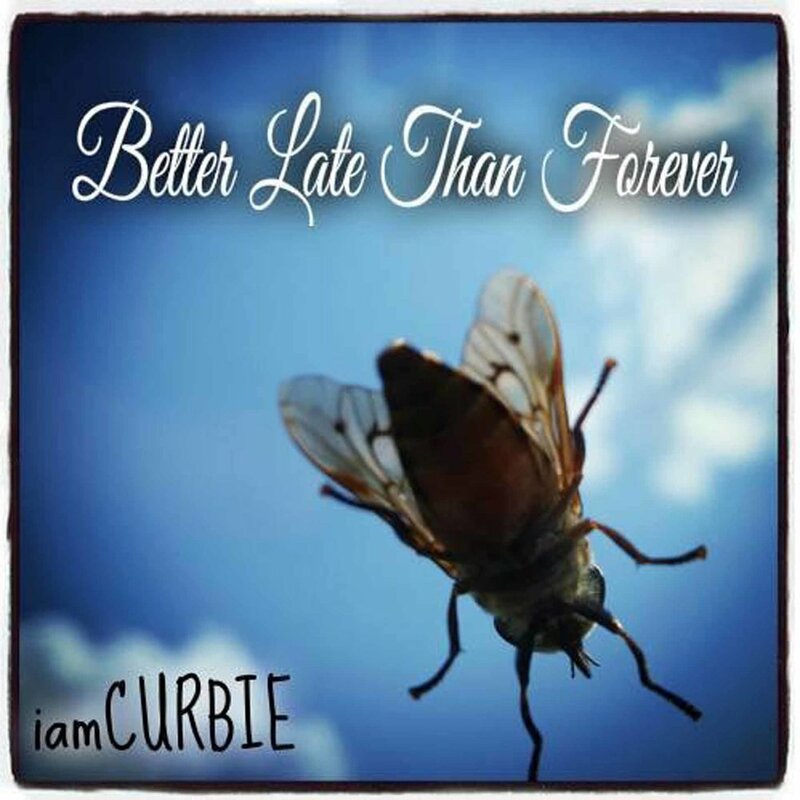 Curbie's latest album, Better Late Than Forever, was recorded and mixed at Bob Bowling Audio (Atco, NJ) and mastered at The Gradwell House (Haddon Heights, NJ). See Jersey Indie's Better Late Than Forever album review here. Decades is an Alternative/Indie rock band emerging from the metropolitan area of New Jersey. Our music is best described as being melodic, with yet an energetic style comprised of interlocking guitars, punchy grooves, and layers of beautiful vocal melodies. Whiskey Crossing is a Powerhouse Duo, performing Country Blues, Country Rock music. 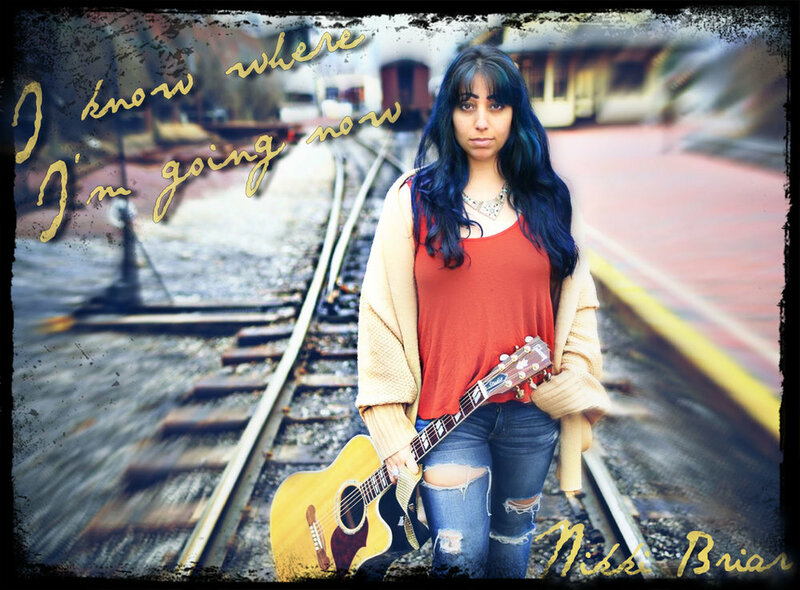 Tina Marie, Lead Singer, has been compared to Janis Joplin with a twist of Stevie Nicks. Andrew Gallagher is known as the "Whiskey Grummer," playing guitar while kicking a large floor drum and singing harmonies and duets. The two are unstoppable, taking over the east coast one state at a time, being called "the modern day Johnny and June." They can be seen as a Duo providing a full sound, or back home with their back up band. 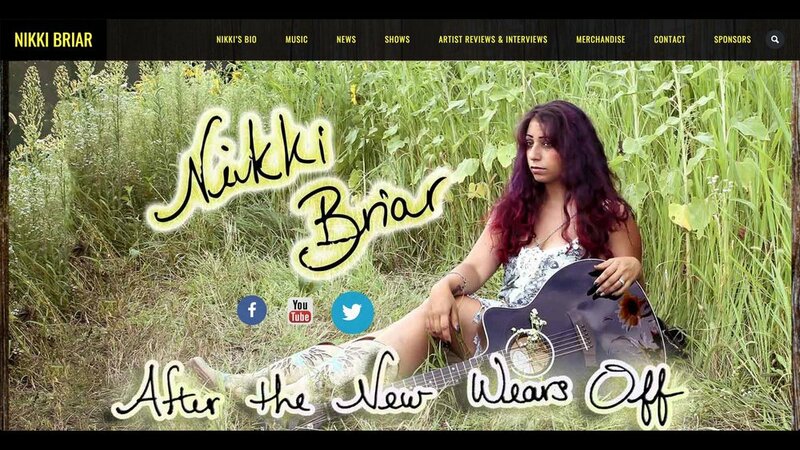 Being Nashville songwriters, the two visit Music City every 6 months to remain in the scene. 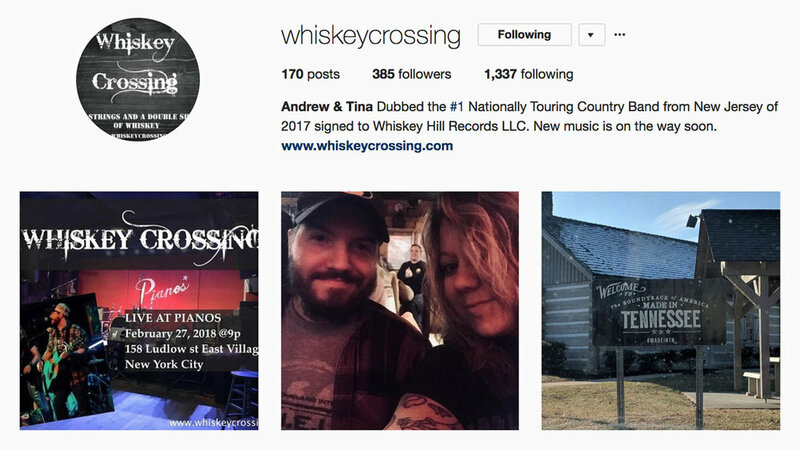 When back home, they play 4 shows a week locally and run their Whiskey Crossing-themed Country Music Store, "The Rusty Hill." 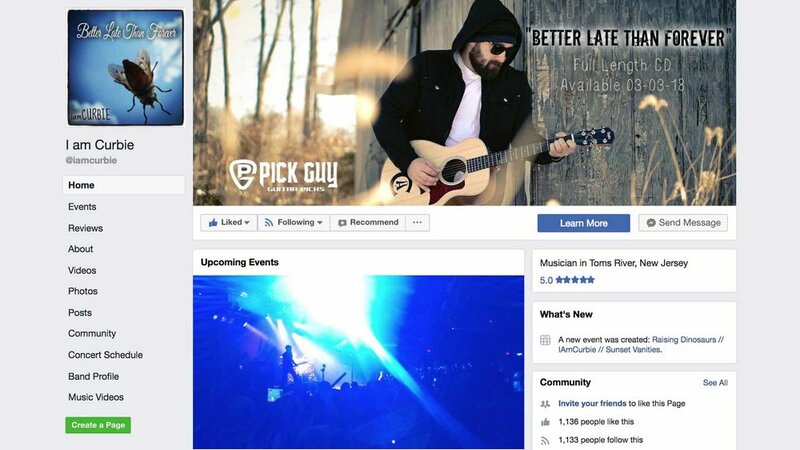 This Duo started as a church band and has grown into country music over the past 5 years. Tina and Andrew are inspired by the musicians they work with, loving to share the passion of music with many, and also performing and interacting with their fans. "All I can say is it's a hard business, and if you hold on tight it's all worth it just to see the smiles on your fans' faces," says Tina Marie. Being that Tina is a Cancer fighter to an incurable cancer, the duo plans to keep doing many benefits to raise money for cancer awareness as well as sharing their music with the world. Nothing can stop these two! Whiskey Crossing will be sharing the stage with Allman Brother Johnny Neel and the Screaming Eagle Band May 12 at the Stanhope House but will be playing locally every week. Check out www.whiskeycrossing.com for a full schedule! In business for close to 25 years, RPM Wireless is a full-service cell phone, tablet and computer repair shop in addition to being a wholesale parts distributor. Follow our Instagram or Twitter for 20% off screen repairs and 15% off battery replacements. These Wolves is a band/music project based out of Saddle Brook, NJ. "Music has been a passion of mine since I was very young, however, my love for guitar and songwriting started when I heard 'Smells Like Teen Spirit' for the first time," says Darren Fisher (Guitar/Vocals). "I wrote music and played in bands for many years. I've shared stages with Paramore, Bring Me The Horizon, Story of the Year, and Jimmy Eat World. By 2013, the bands I was in broke up, and after soul-searching in 2015, I reached out to Stephen Kellner (Roderick/Van Atta High) to record two acoustic songs for me. The rest is history. These Wolves were born." Regarding words of advice, "Do not have any regrets with songwriting," says Fisher. "Some of my favorite songs were ones I thought were stupid ideas at first." These Wolves released a video for "Dead To Me" in November and are releasing a video for their 2nd single, "Enough is Enough," on March 13, 2018.